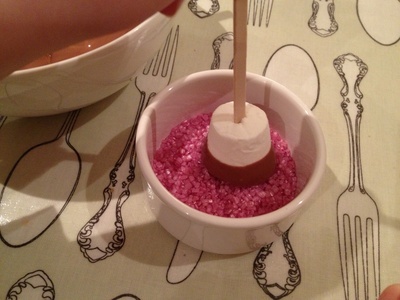 This is an easy recipe that even young children can get involved it. It's lots of fun and involves plenty of finger licking. 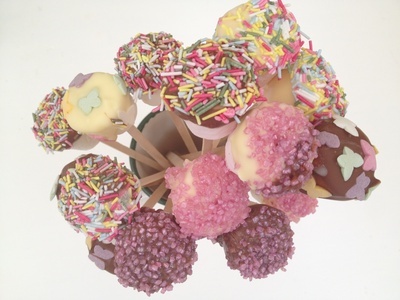 You could make these for a party, gift or even as a party activity. 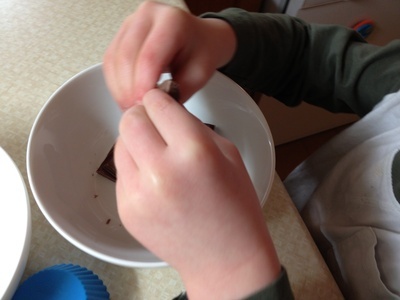 Break up the white and milk chocolate in into individual bowls. Melt the chocolate. A microwave is quick and easy but if you don't have once then just place the bowl of chocolate over a pan of gently boiling water. 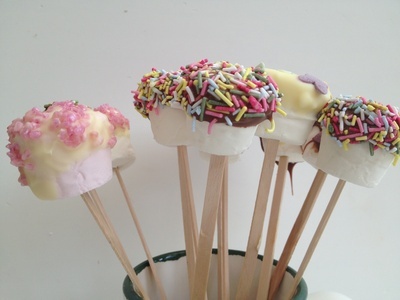 Insert a stick into the end of a marshmallow and push in almost all the way to the top but not through it. 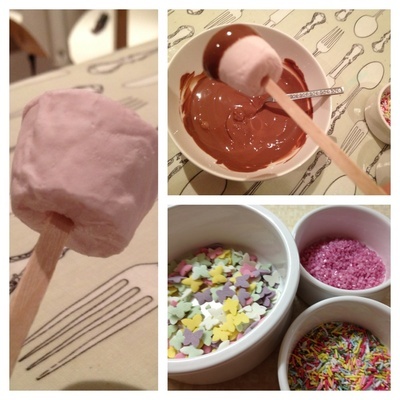 Dip a marshmallow into the molten chocolate and then dip or roll into sprinkles. We also had some little sugar butterflies that my son carefully placed on. 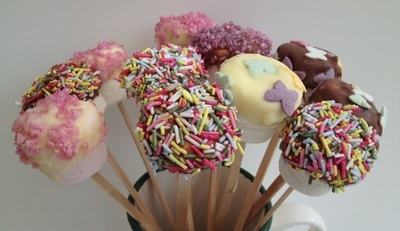 Experiment with a mixture of white and milk chocolate. 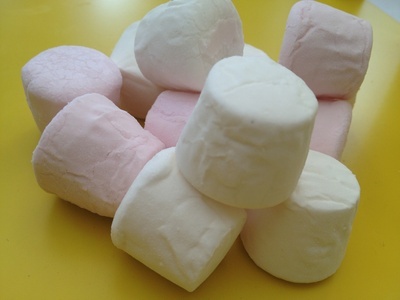 Place the finished marshmallows in a tall container to keep them upright until they set. Leave to cool and then they're ready to party.